The Prohibition of Money Laundering Law, 5760-2000, was legislated in Israel in August 2000, and when it came into force a lengthy legislative process came to an end. The regulating of this matter allowed Israel to join other world countries, in their war against organized international crime. Up until the legislation of the law (because of various historical, demographic and economic circumstances) Israel was a convenient location for money laundering activities. Consequently, in June 2000, Israel was placed on the “blacklist” prepared by the FATF. With a view to have Israel removed from the list as soon as possible, the Ministry of Justice acted rigorously, in cooperation with other authorities, in order to expedite the legislation of the law, a process which had begun a few years previously. Indeed, the legislation work on the law was completed within a relatively short period. Section 3(a) of the law constitutes the heart of the new law and, in effect, determines, for the first time, a money laundering offence. The section forbids executing any action in property obtained by an offence where the aim of action is to conceal or camouflage it’s origin. This category includes any action aimed at concealing the source of property or aimed at providing legitimate cover for a transaction in property originating in an offence, regardless of whether such is executed through a financial system or by other means. The First Schedule to the law defines a closed list of offences, and executing of activities in profits deriving from such, with the aim of concealing the source thereof, constitutes money laundering. These offences are termed “source offences”. They are offences committed either in Israel or in other countries, characteristic of the type of offences forming the basis of money laundering offences throughout the world. Section 5 of the law defines the nature of the knowledge required for conviction of a money laundering offence. The legislator adds here, and determines, that in order to prove the offence it will be sufficient to prove general knowledge that the property was forbidden, and there is no need to prove knowledge of a specific offence connected to the property. The sectiondetermines a punishment of 10 years for this offence or a fine of 20 times that stipulated in Section 61 (a) (4) of the Punishments Law. Section 3 (b) of the Law deals with the fortifying of the money laundering prevention regime with reporting to the money laundering authorities. The law establishes a wide ranging identification and reporting setup and imposes a duty to report on the various financial bodies (including banking corporations), requiring that they report to the money laundering authority on financial activities which raise suspicion of money laundering. The section deals with a situation in which a person carries out some action aimed at preventing any financial body obligated to report under law, to report to the money laundering authorities on the execution of the action, or with the aim of preventing reporting under the law of the entry or exit of funds into or from Israel. This sectionalso determines punishment of 10 years imprisonment or a fine of 20 times the stipulated fine as determined in section 61 (a) (4) of the Punishments Law. Section 4 of the Law prohibits the execution of any action in prohibited property. While Section 3 of the Law requires proof of special intention or aims of concealing property or preventing reporting, Section 4 of the law was legislated in order to contend with those cases where it is difficult to prove the element of special intention or purpose required in order to substantiate the offences under Section 3 of the law. Section 4 was legislated in order to allow the enforcement authorities to catch those entities or additional links in the money laundering chain whose activities do indeed assist in cutting off the link between the criminal and the capital source, but without it having been proved that the perpetrators thereof acted knowingly in order to achieve this aim. Section 4 provides there is no need to prove the intention or the aim at concealing. It is sufficient to prove knowledge of the prohibited property. The prohibition will apply to transactions in property exceeding the value of NIS 120,000 and between one and a number of accumulated activities for the set amount during a period of 3months, as follows: art objects; religious articles and Judaica; vehicles of transport including sale craft and air craft; precious stones and metals; securities; immovable assets; antiquities; carpets., Or any other transactions in money exceeding the amount of NIS 400,000, whether such is one transaction in the property or a number of transactions in the property, accumulating to the said amount within a period of 3 months. For the purpose of conviction under this section true knowledge is required and a mere suspicion or turning of a blind eye will not be enough. The punishment for such an offence, i.e., executing an action in prohibited property, is imprisonment of 7 years or a fine of 10 times the fine stipulated in Section 61 (a) (4) of the Punishments Law. Section 6 of the Law determines an exemption from criminal liability in cases of committing an act in prohibited property pursuant to Section 4, if one of the following has been done: Reporting to the police before the committing of the act, about the intention to commit the act in the property, or reporting to the police, as soon as possible, under the circumstances of the matter, after the committing of the act in the property. Section 9 of the law also deals with the duty to report and requires that every person report on funds he bears with him upon entry into Israel or departure from Israel. The section requires that every person report, upon entry to Israel or departure from Israel, on funds he carries with him if the value thereof is greater than the amount set out in the law. any person must report where the value of funds he bears are in the amount of, or exceed, NIS 80,000, and a new immigrant upon first entry to the State of Israel must report if the value of the funds with him are in the amount of NIS 1,000,000 or more. The section also imposes a duty to report on the entry and exit of monies into and from Israel at a value higher than the amount determined in the law, where such is done by mail or by other means. TheLaw orders the establishment of a centralized data base at the Ministry of Justice for the ingathering of all reports received pursuant to the Prohibition of Money Laundering Law. The data base includes a great deal of information, originating mainly in the wide ranging duty to report as set out in the Law. These duties, which focus on the reporting of various financial activities executed by customers, have been applied to the majority of financial bodies active in the country including banking corporations, insurance companies and agencies, members of the stock exchange, portfolio managers, provident funds, money changers and currency service providers as well as the Postal Bank. Furthermore, as stated above, the Law has set out a duty of reporting on financial income and expenditure into Israel and from Israel. All the above stated sensitive information has been deposited with the Prohibition of Money Laundering Authority established pursuant to the Law. The Authority was established in January 2002 as an administrative intelligence unit. It includes a gathering and review division, a research and evaluation division, a legal department and a technology, computer and communications division. It should be emphasized that the department is not an investigating unit and it does not have independent investigative powers. Where suspicion arises, the material is forwarded by the Authority to the enforcement authorities and the investigation itself is carried out there (usually by the Israel police) by the special money laundering teams who have been set up and trained in order to contend with the phenomenon. Whilst the Israeli police and the general security services can request any data from the Authority’s data base needed by them for the enforcement of the law in question or the protection of state security, a foreign authority can receive information from the Authority provided that such relates to property originating in an offence stipulated in the First Schedule to the Law, i.e. prohibited property as such is defined by the law in Israel. The Legal Assistance Law 5758-1998 provides possibility of enforcing a forfeiture order against property which was granted in Israel over property situated in a foreign country and vice versa, provided that the property originates in an offence as defined in the Second Schedule of the Legal Assistance Law. This schedule contains offences in contravention of the Prohibition of Money Laundering Law. Section 21 of the Prohibition of Money Laundering Law deals with the forfeiture of property in criminal proceedings. In this section the Prohibition of Money Laundering Law orders the court to forfeit property from a person tried and convicted by the court to the value of the property connected to the offence, unless it has decided not to do so for special reasons. Section 22 of the Prohibition of Money Laundering Law deals with the forfeiture of property in civil proceedings. Under this section an order can be made, in appropriate circumstances, for the forfeiture of property in civil proceedings, even where a criminal case has not been conducted, or after criminal proceedings have been completed. The court may order forfeiture in civil proceedings if the property has been, directly or indirectly, related to an offence under Section 3 or 4 of the Prohibition of Money Laundering Law’ and the person suspected of committing the offence, is not permanently located in Israel or he cannot be located and therefore no indictment can be served on him. 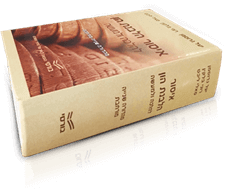 Chapter C of the Law deals with the array of duties imposed on financial service providers in Israel. This chapter imposes the following three main kinds of duties on banks and those institutions as specified in the Third Schedule: The duty to identify; The duty to report; The duty to administer and maintain records; The duty to apoiny compliance officers. In principle (excepting for those cases of leaked information about the forwarding of a report) the non fulfillment of the duties imposed on financial service providers does not amount to a criminal offence provided, naturally, that the financial service provider has not intentionally prevented the forwarding of the report. If proven that the financial service provider has not complied with the duties imposed upon it, it is liable to financial sanctions.